“[The IPU] renews its call on the ruling and opposition parties to do everything possible to work together as a matter of urgency with a view to helping ensure that Mr. Sam Rainsy can stand as a candidate in the elections,” the resolution said. It also called on the National Assembly, Cambodia’s parliament, to “promote healthy working relationships” within the legislature, such as consulting all parties for major decisions, ensuring that the rights of the opposition are upheld, and maintaining respect for parliamentary immunity. In addition to the conviction for removing the border marker, Sam Rainsy was also sentenced for divulging false information by having published a map which reportedly showed a false border with Vietnam and for defaming Cambodian Foreign Minister Hor Namhong. He has repeatedly pledged to return to Cambodia to lead the NRP—formed from his erstwhile Sam Rainsy Party (SRP) and another leading group, the Human Rights Party (HRP)—against Prime Minister Hun Sen’s ruling Cambodian People’s Party (CPP) in July’s elections, but the government maintains that he will be imprisoned if he does so. Cambodian Council of Ministers spokesman Phay Siphan told RFA’s Khmer Service that the IPU’s statement “doesn’t reflect the truth about Cambodia,” adding that it is up to Sam Rainsy to decide whether or not he wants to return to the country. “Only Sam Rainsy can decide—no one can decide for him. But it seems that he doesn’t want the rule of law and democracy in Cambodia to move forward [by refusing to serve his sentence]. He wants democracy in Cambodia to fail,” he said. Phay Siphan said Sam Rainsy had refused to soften his criticism of the government and should respect Cambodian law. “He won’t compromise by performing his duty before justice and the rule of law,” he said, adding that the opposition leader must return to serve his sentence. “The Cambodian government sees this as a court issue and we can’t put pressure on the court,” he said. Phay Siphan said that the government has tried to work with Sam Rainsy without resorting to personal attacks. Many Cambodians are wary of Vietnam’s influence over their country’s affairs. 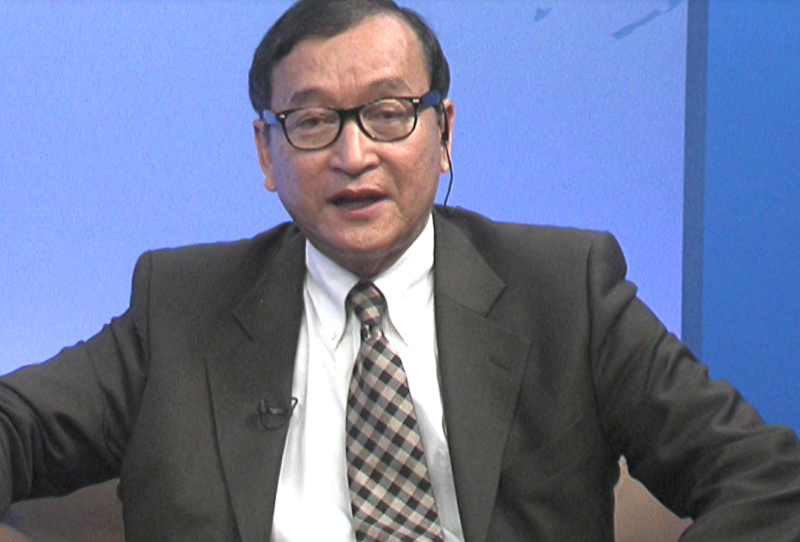 Sam Rainsy claims the country holds Cambodian territory with the blessing of Hun Sen’s CPP. I don"t think Hun sen allow Mr Sam rainey get in Cambodia because he body shaking ,!! Like dog see cate running !! !Hun sen the most corrupt Khmer in the world !!!! Cambodia is more Democracy than Vietnam is only one party.